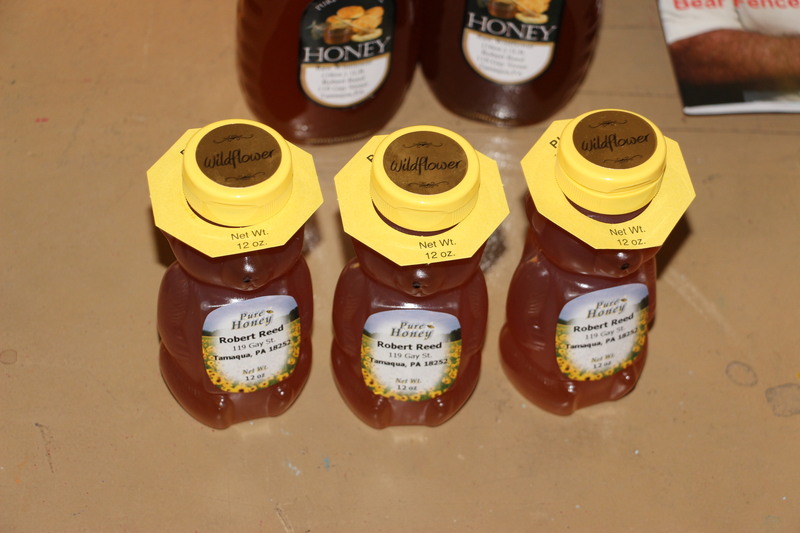 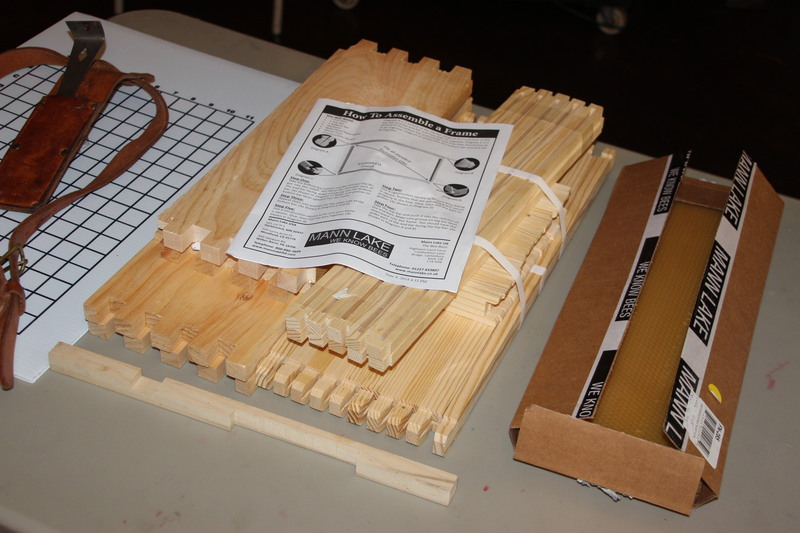 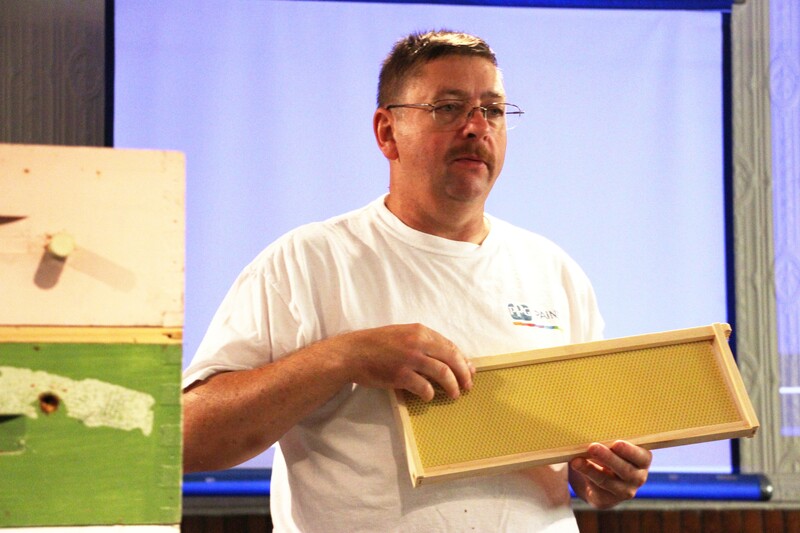 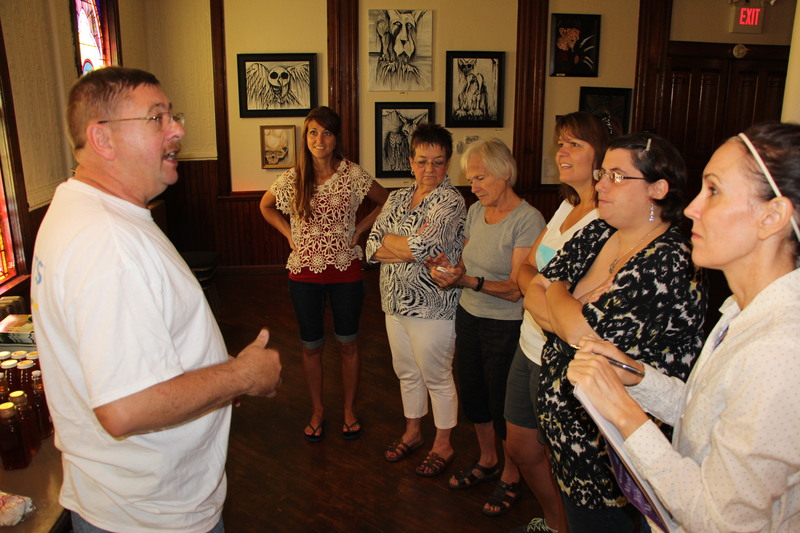 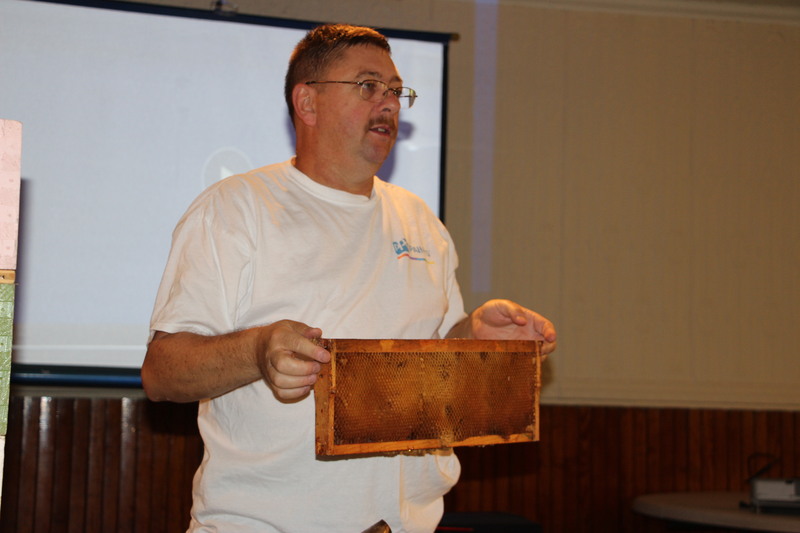 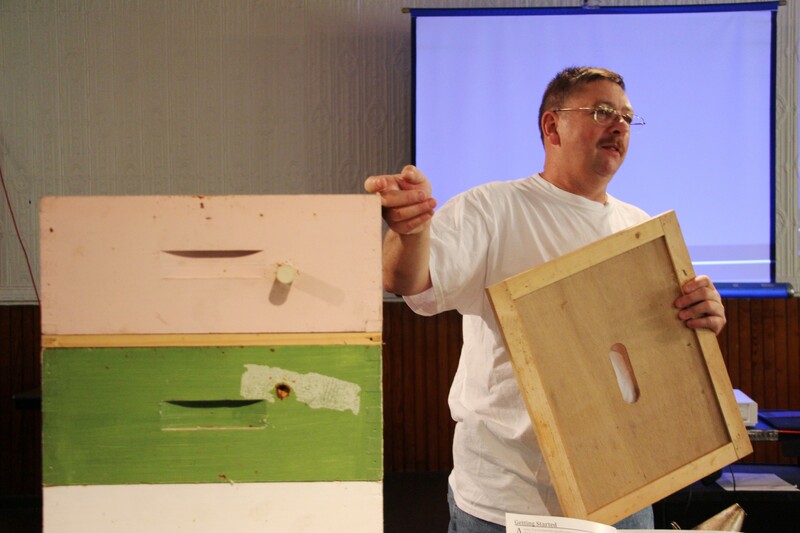 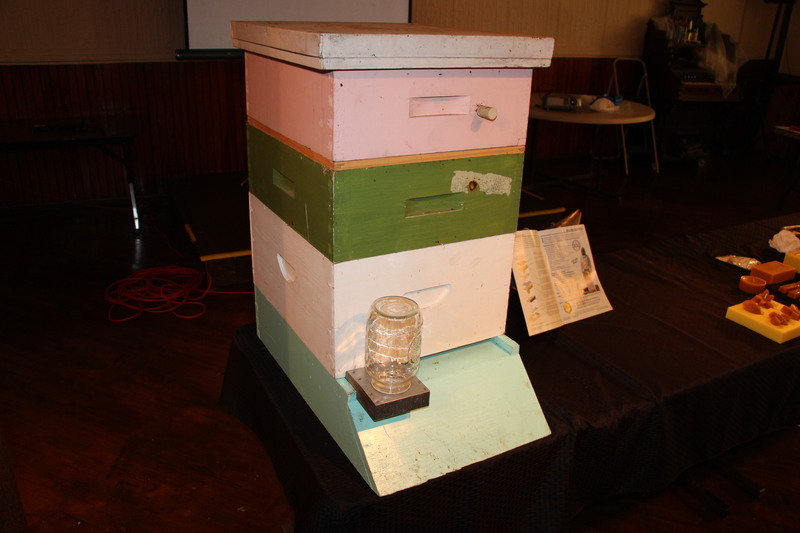 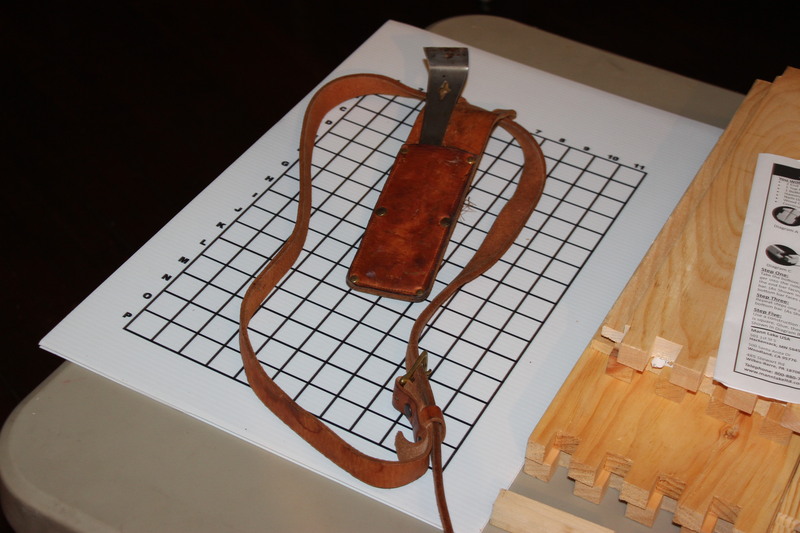 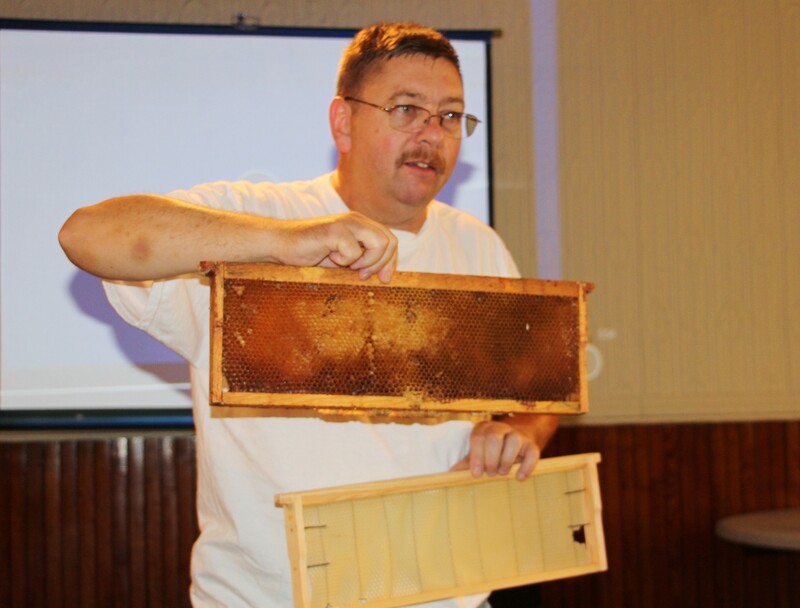 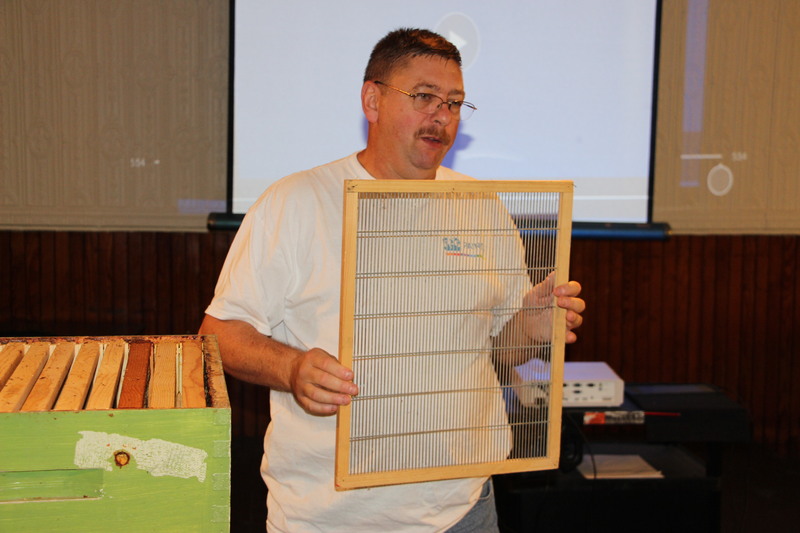 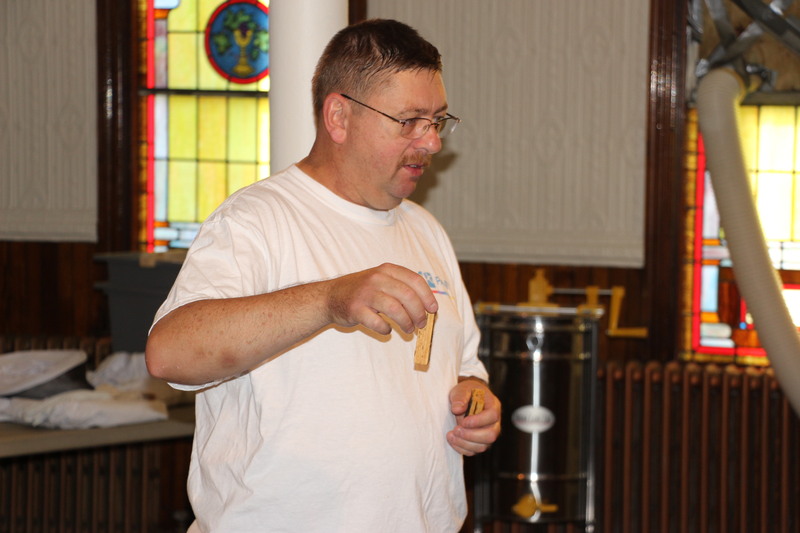 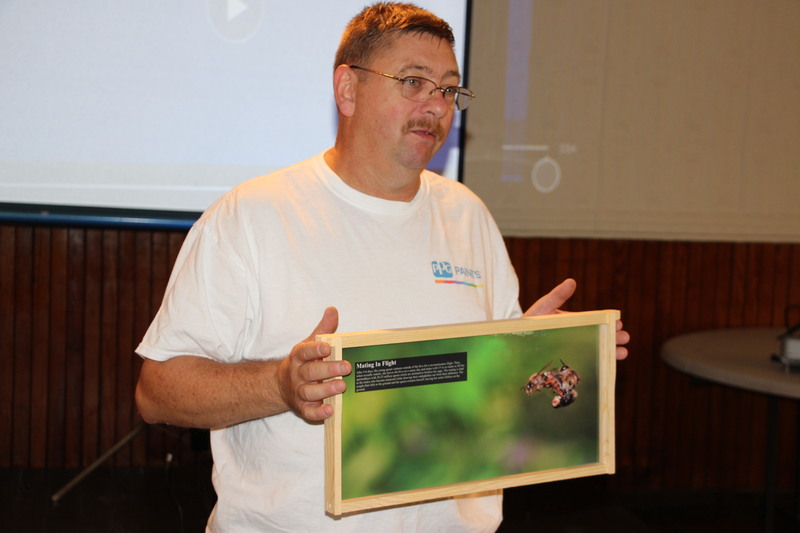 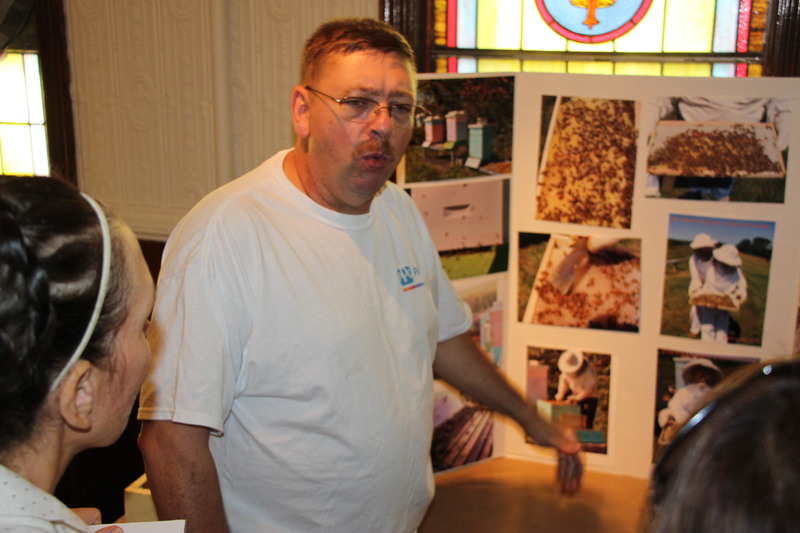 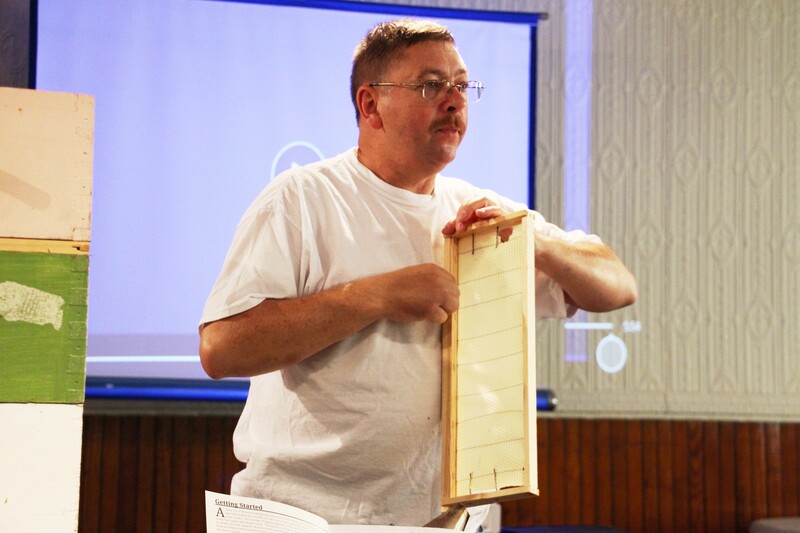 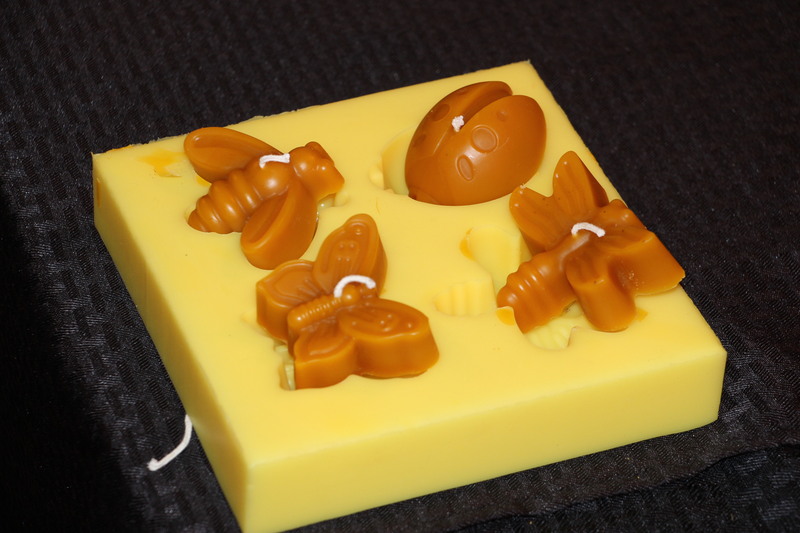 Bee-keeper Bob Reed of Tamaqua held a free honey bee information session recently at the Tamaqua Community Arts Center. 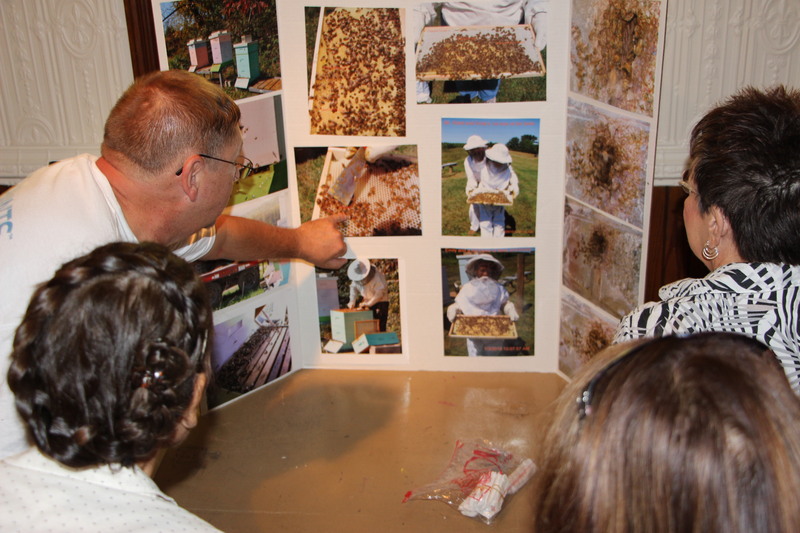 During the program visitors were given information pertaining to bee-keeping. 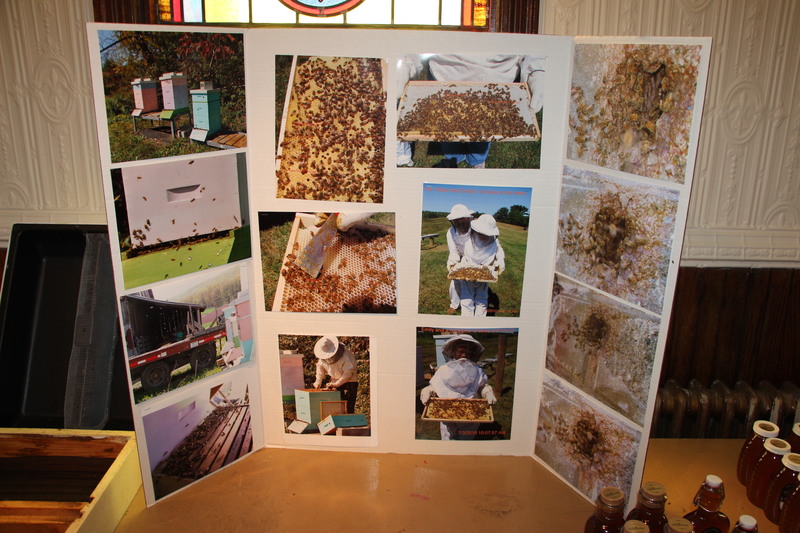 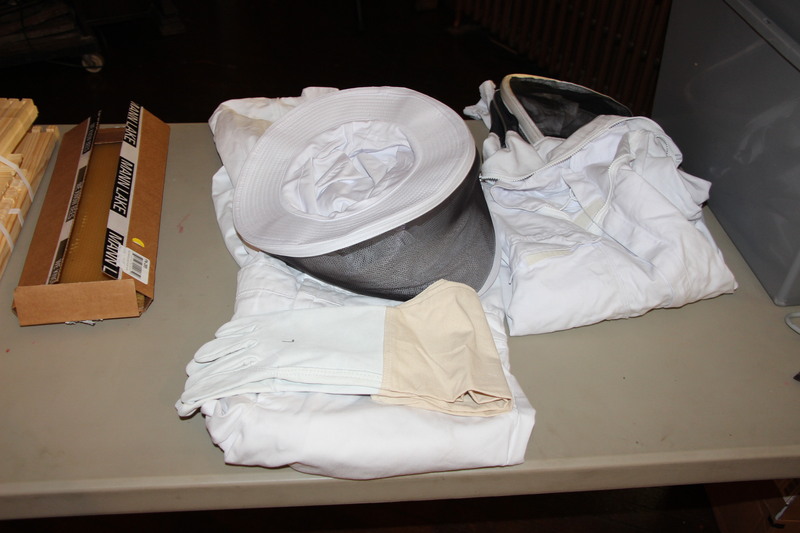 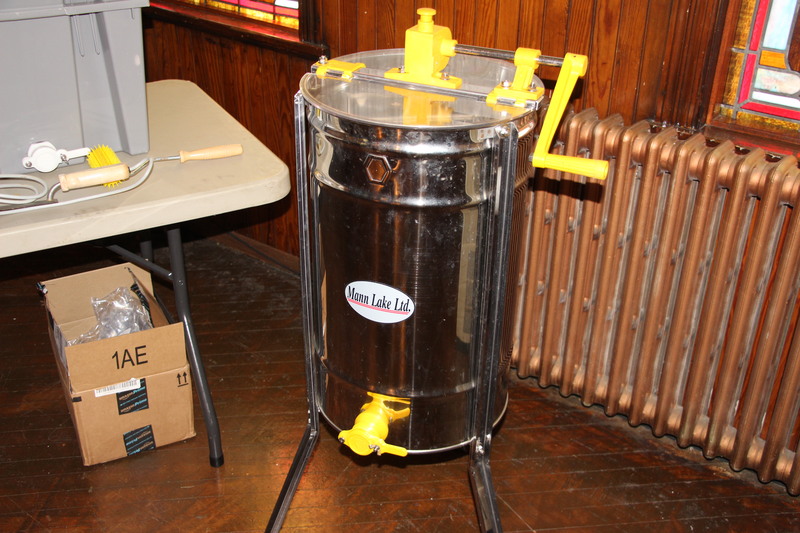 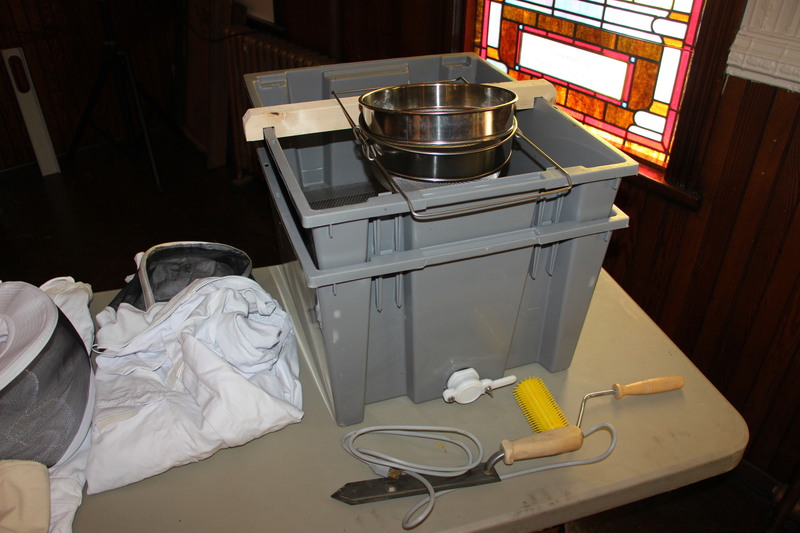 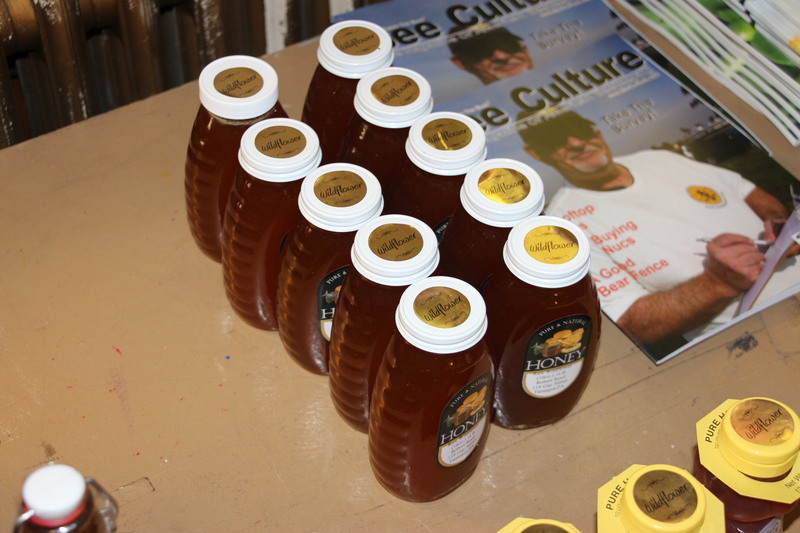 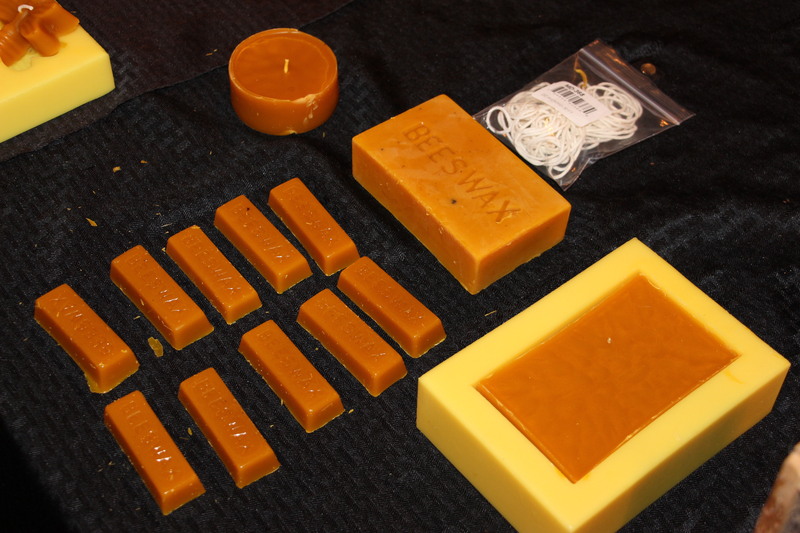 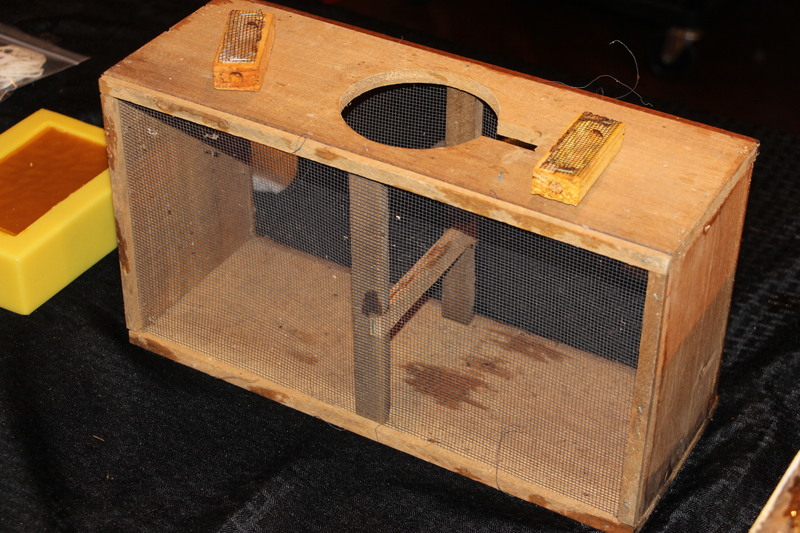 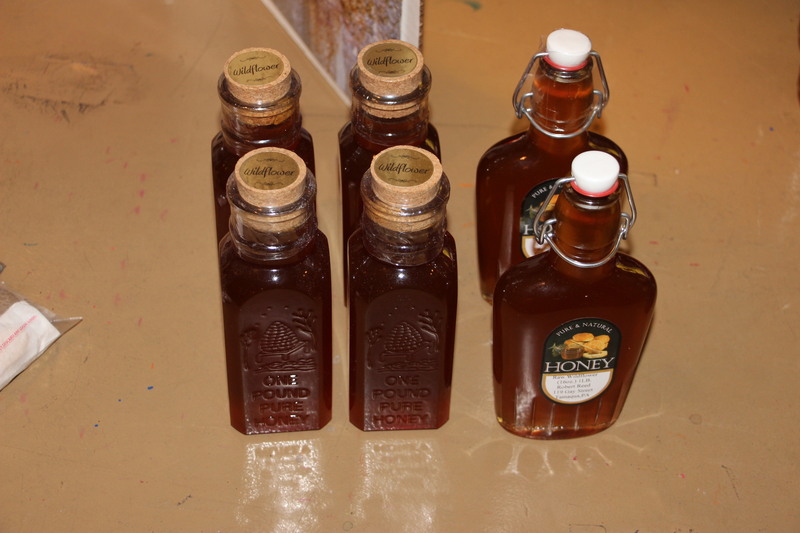 In addition, Reed provided a large display of equipment, and gave multiple samples of raw honey to everyone. 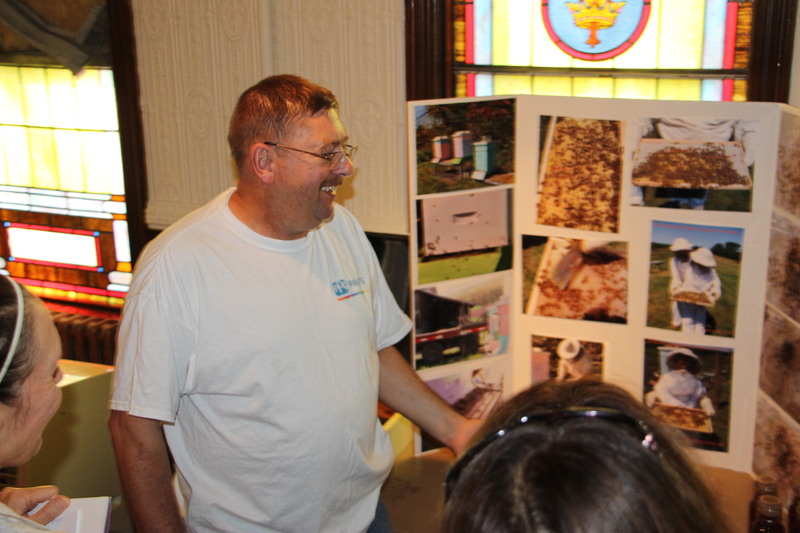 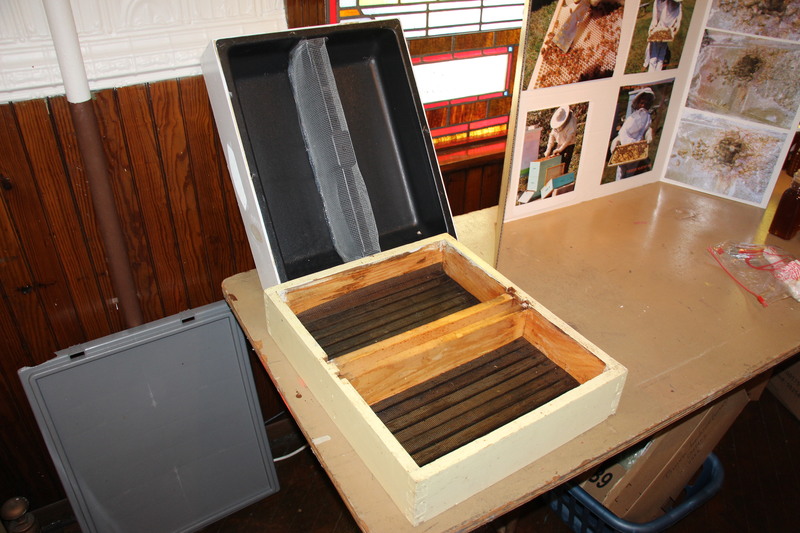 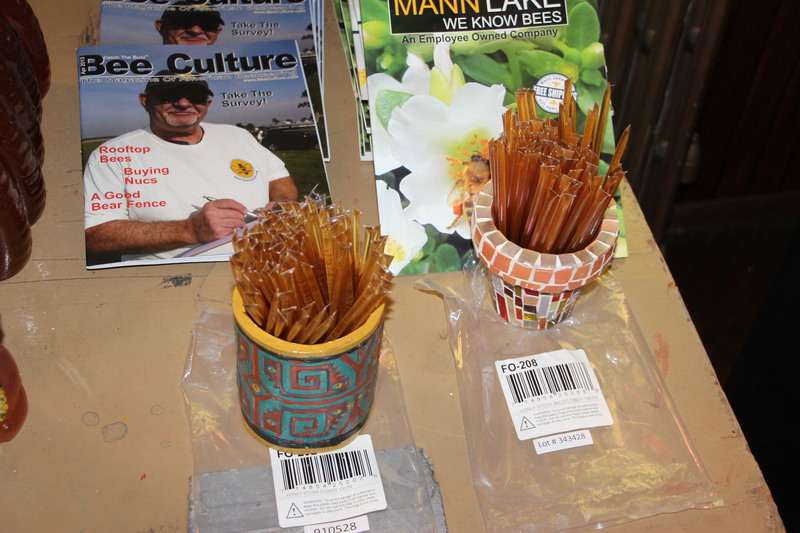 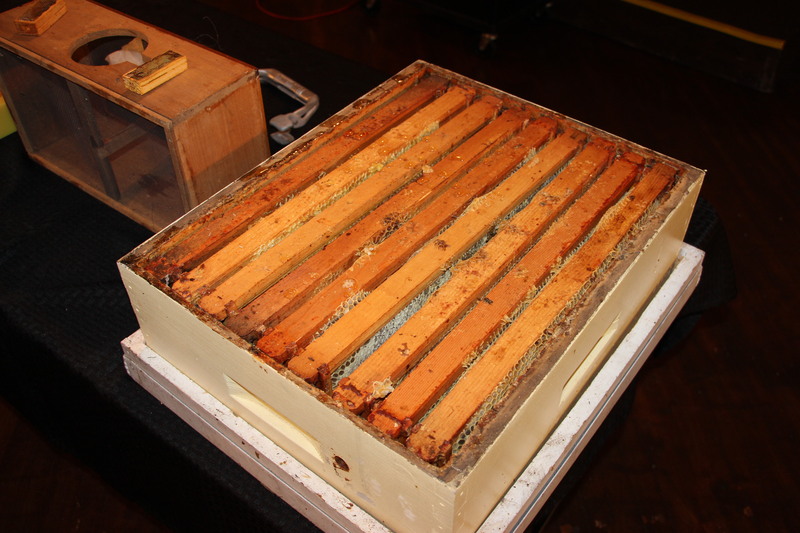 In June, Reed removed about 100,000 honey bees from the walls to the Tamaqua Community Arts Center. 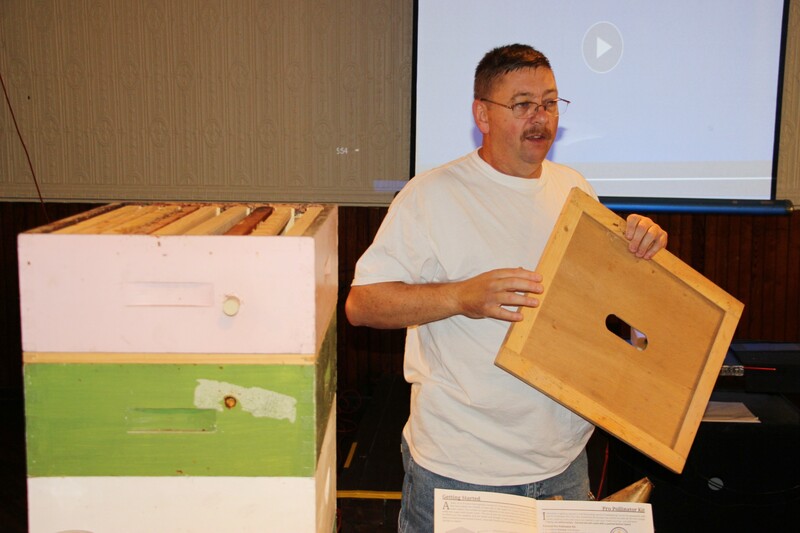 (story) A short video of that removal was shown during the presentation.